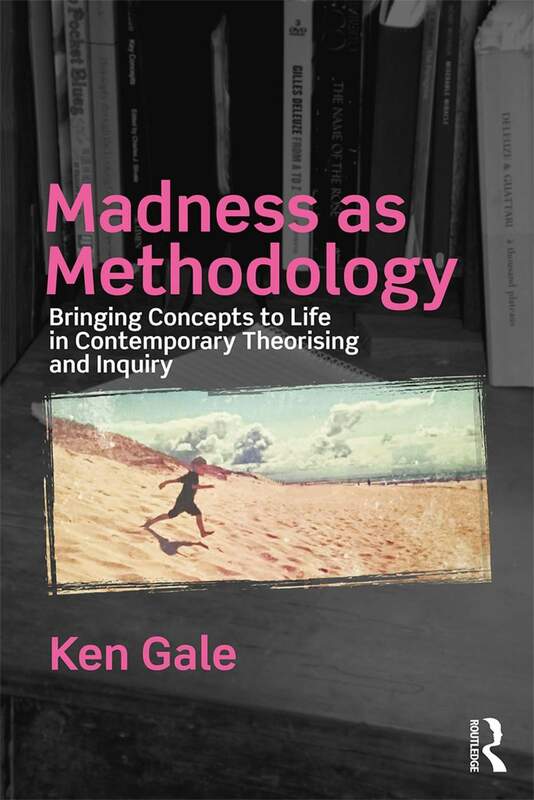 In part one of this interview, Ken Gale introduces us to the ideas explored in the book, its methodological approach and the inspiration behind it. 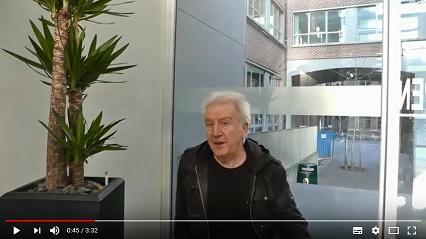 In part two of this interview Dr Ken Gale talks about the thinking behind the book’s unusual structure and gives us further insight into his approach to Methodology. 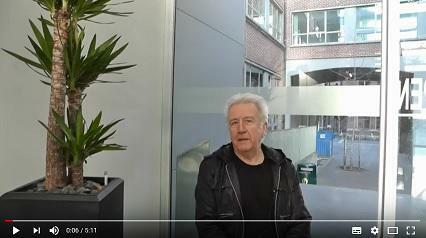 In part three of this interview Dr Ken Gale discusses the importance of new methodologies and considers how the constantly re-forming self affects our research. Treat yourself. Enter Gale’s writing, his becoming, where assertion gives way to the possible. See how the nail rejects the hammer, the thread zigzags away from the seam, the mirror celebrates its shards. Gale’s work is an assemblage of colorful fabrics and ribbons, always flowing, some wildly, some modestly, all caught in an always swirling wind. Embrace the pleasures of becoming with Gale, of moving with him and into your own terrain. His joyful methodological madness invites a performative immediacy of the moment, of movement. At the end, you may feel as I do: What pleasure surrendering to the space Gale opens! 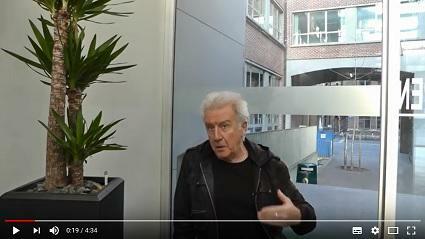 Advocating madness as methodology is a tricky business: get it wrong, and you risk seeming either ‘just’ mad, or not really mad enough. Ken Gale gets it right. The book wears its erudition, its range, and its deep thoughtfulness lightly. It exemplifies exactly what it advocates – unruly resources for creative, ethical and experimental research encounters. Madness in this book does not rest in a binary opposition to sanity; in the emergent, playful experimentation and poetry of this text, the thrust is not so much toward breakdown, but breakthrough. Gale confronts chaos, not as something to be conquered, but as a means to enhancing thought by removing it from the relentless repetitions of representation, classification and identification. In breaking loose from those old forms of humanist inquiry, the book opens out as a sparkling, embodied, sensory and unpredictable set of experiments, bringing to life the entanglements of language, of human and non-human bodies, and of desire. Madness as concept, madness as breakthrough, madness as movement, sensation, madness as life-giving, madness as in-formation, madness as the more-than. Madness as the force of a non-methodology that moves to the rhythm of a methodogenesis, a movement always processual, the movement of thought itself. This is the proposition: to compose, to write, to live in the midst of what refuses to know itself in advance. Not only toward new ways of writing, new forms of composition, but toward new forms of teaching, of learning, of living. Exclusive Chapter 1 Preview! Click the image below to read more! *20% discount offer is only available on titles ordered directly from www.routledge.com, until 31st December 2020 and cannot be combined with any other offer or discounts.